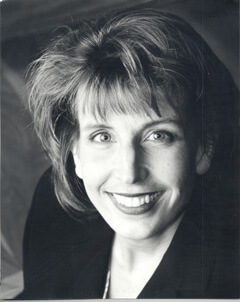 meetdr - Nancy H. Holm, D.D.S. I have to say that what brought me to Dentistry is the supreme joy I get from really taking care of people, and getting to know them on a personal level. (That's what kept me from choosing medicine, have you noticed that the average time a patient spends with their physician is now down to about 7 minutes?) It is a privilege to be able to spend that time, and to see the tangible results of my skill at the end of every appointment, and each time I get to examine and visit with each of my patients! I have always enjoyed working with my hands. I was the kid who had every imaginable kit and craft while growing up. My mom noticed that when she brought me along to my older sister's Girl scout meetings, it was me who was the first one done with the craft project, even though I was just the little sister who tagged along! My fourth-grade teacher insisted that I become an artist, which I convinced her years later, is what a dentist really should be. Crafting a beautiful smile, restoring a broken-down tooth, and seeing unhealthy gums transformed back to health feels like the best kind of art to me! My upbringing focused on the call to take care of others, and I was fortunate to have the knack and curiosity for science as well as an incredible work ethic instilled in me by my parents. I am truly grateful that Dentistry has satisfied my every expectation, and then some. National Honor Society, top 25 graduate in a class of 350. Associated dentists, Ltd. 1989-1996 a private group practice in St Paul. Dr Holm had the privilege of working closely with a periodontist, orthodontist and pediatric specialists. Dr. Holm gained experience in trauma dentistry being on call for a large group, and occasionally taking calls from Children's Hospital ER. Technology advances, such as CEREC Cad-Cam dentistry, intra-oral and digital dental photography, digital x-rays, DIagnodent Laser. Dr. Holm grew up in Roseville, MN, and has lived in the Twin Cities all of her life. She has been married to her husband, Bill since 1998. She is attempting to achieve "world's greatest aunt" status with her 6 nieces and nephews, and any other child that crosses her path! Girl Scout Leader, non-denominational Christian youth group minister, volunteer dentistry for the homeless at the Union Gospel Mission, and St. Paul Public Schools, MN Mission of Mercy professional committees for the St. Paul District Dental Society and American Cancer society. She has been a season ticket subscriber to The Guthrie Theatersince 1986 with active support of other arts institutions, like Minneapolis Institute of Arts, MN Orchestra, and MN Public Radio. Dr Holm is an avid reader, mostly Dental Journals, Wall Street Journal and books: spiritual growth, business, human behavior, and a heavy dose of fiction. Travel is one of her favorite past-times, especially involving the outdoors or anything historical.